We offer a professional voice over recording service, with voice over artists based in Derby, Nottingham, Leicester, Birmingham, Sheffield, London, the East Midlands UK. We can offer both the voice over artists and the first rate voice-over recording facility at Audio Narrative's Recording Studio. Alternatively, if you have a member of your own staff suitable to record, you're more than welcome to simply take advantage of our voice over recording service. If you prefer, we can also take charge of your whole sound production, we'll ensure that everything is polished to a professional broadcast standard. Quite simply put, a clear sounding recording - with no room or background noise. Full mix-down of FX, Music & Voice - mastered to the highest Broadcast standards. 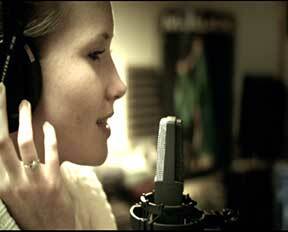 For voice over recordings you will usually get your files the very same day, within 24 hours at worst. Full mixes usually 1-3 days depending on the project.